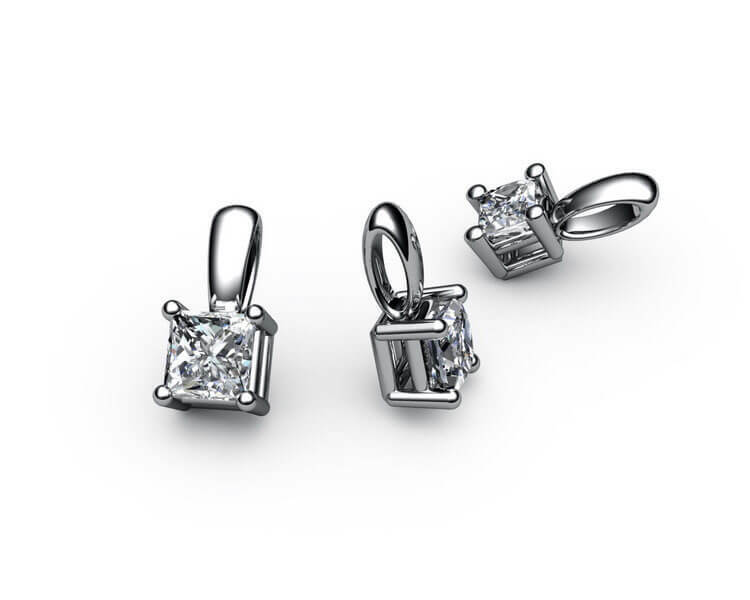 A classic Princess Cut diamond pendant with a four claw setting. The elegance of this classic design crafted in 18k white gold featuring a dazzling Princess Cut diamond will look great for years to come. Can be custom made with a diamond ranging from 0.15ct to 1.00ct. It can also be ordered in 18k yellow gold, 18k rose gold or platinum.